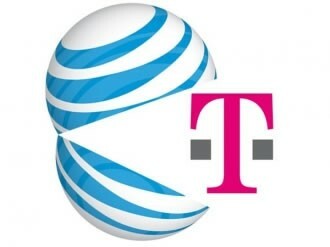 The FCC has taken preliminary measures to thwart AT&T's desired acquisition of T-Mobile today, according to a Wall Street Journal report. Agency chairman Julius Genachowski issued a draft order this morning that seeks an administrative hearing on the $39 billion proposal. The motion is pending approval by other FCC commissioners and would require AT&T to present its case before an administrative law judge. The fact that the agency is seeking a trial doesn't bode well for AT&T. It's been nearly a decade since a merger of this size was brought before an administrative law judge, when EchoStar wanted to buy DirecTV for $26 billion. That deal was eventually scrapped. The hearing would force AT&T to prove that a T-Mobile buyout is in the public interest, while the FCC would present its findings. The agency has examined more than 2,000 pages of documentation and held over 100 meetings with parties related to the merger. After that investigation, it remains unconvinced that the move will create new jobs or accelerate the rollout of 4G connectivity -- the primary benefits AT&T has stressed. The FCC isn't alone in questioning the takeover. In August, the Department of Justice filed a federal antitrust suit to block the AT&T and T-Mobile merger, saying it would hinder competition, resulting in higher prices and worse service. Sprint has claimed the buyout would create "a 1980s-style duopoly," while Kansas Attorney General Derek Schmidt believes the deal would reduce consumer satisfaction with no real benefits. Naturally, AT&T isn't too thrilled about today's news. "The FCC's action today is disappointing. It is yet another example of a government agency acting to prevent billions in new investment and the creation of many thousands of new jobs at a time when the US economy desperately needs both. At this time, we are reviewing all options," said AT&T exec Larry Solomon. If the trial is approved, it will begin after the DoJ's litigation.